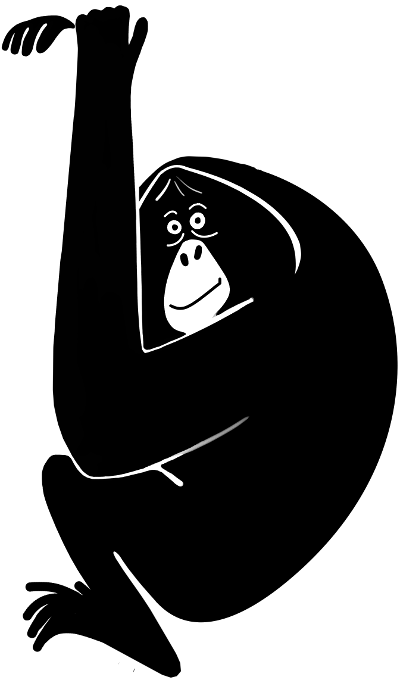 Home › Primate Education Network › Enter PEN’s Lessons Learned Challenge Prize Contest for a chance to win $250 USD! PEN’s 2014 Global Survey revealed that educators’ greatest need is to share challenges, lessons learned, and best practices. To address this need, PEN (with support from our partner Eric Losh Illustration) is launching our first Challenge Prize Contest to crowdsource lessons learned and reward organizations with funding for their primate education efforts. A lesson learned is a change in personal or operational behavior as a result of experience. A lesson needs to be specific enough that you can learn from it. There also needs to be a specific actionable recommendation, rather than an observation. Our Lessons Learned Challenge Prize Contest is designed to encourage educators and practitioners to share specific actionable recommendations for strategic, operational, and financial challenges faced by organizations involved in primate conservation education. Educators and practitioners, who may not be education experts, can share solutions to problems on a broad range of issues (e.g. dealing with corrupt government officials, tracking teacher performance, securing sustainable funding, etc.). Educators and practitioners will benefit from the results of this contest by learning from each other’s experiences about what works or does not work in the field. They will avoid wasting time on approaches that have already proven to be ineffective. Similarly, they will learn about what works well and how to implement the most effective strategies that yield the best results. Eligibility: To be eligible for PEN’s Challenge Prize, you must become a PEN member. Join us at www.primateeeducationnetwork.org/join. Contest Period: Our contest begins on November 25, 2014. All submissions must be received by January 30, 2015 to be eligible for the prize. Organizations are welcome to submit more than one lesson learned. Prizes: PEN will select prize finalists from Latin America, Africa, and Asia. Three organizations (one from each region) will receive $250 USD. Announcement of Winners: We will e-mail the finalists and announce the winners on PEN’s website, social media, newsletter, and other media channels by March 15, 2015. PEN’s Contest Goals: PEN’s goal is to collect and share lessons learned to mitigate the occurrence of the same problems (or repeat the success) in future projects. Using our colleagues' Lessons Learned Challenge Prize Contest (and Best Practices Challenge Prize – to be launched in 2015) entries and drawing on the expertise of PEN’s global network, we plan to develop a consensus of best practices for primate conservation educators. This publication will provide guidance for educators across the globe. Enter PEN’s Lessons Learned Challenge Prize Contest! To enter, complete PEN's online application by January 30, 2015. To avoid losing any of your work, we recommend that you draft your responses in the Word version of our application. Once complete, you can copy and paste your responses into our online form. Download PEN's Word version of the application to get started! ‹ Celebrate Orangutan Caring Week with PEN!